Dirk Schulze-Makuch, Louis N Irwin: Life in the Universe, expectations and constraints (Springer-Verlag, 2006) 172 pages, extensive references. 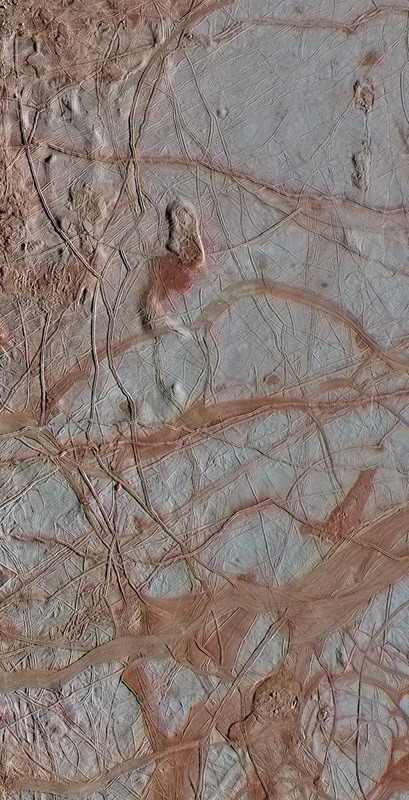 Detail of active ice surface of Jupiter's moon Europe. Is there life in the ocean under that thin ice shield? Another ecosystem in our solar system? How would satellite based remote detection or a robotic space probe recognize the presence of life within our own solar system or on exoplanets? 4- polymeric chemistry capable of storing and transmitting information necessary for the maintenance and propagation of life. "Astrobiology studies the origin, evolution, distribution, and the fate of life throughout the universe." Thus begins this fascinating trek into a nascent Space Age science, the logical twin of Astrophysics. What, then, is life, the subject mattter of Astrobiology's study? Students of Self-Organization Theory will feel themselves at home with the authors' definition. One can even conclude that Astrobiology itself is a projective application of Self-Organization..
- Life encodes and transmits information. Info is transmitted through genetic codes (DNA), allowing the organized complexity of species to perpetuate across generations, despite the mortality of individual organisms. Useful changes in the genetic code - mutations, epigenetic modifications - must be incorporated into the transmitted code to provide evolutionary adaptations over time. At the individual level, novel experiences are encoded in modifications of nervous systems (or molecular cycles and DNA changes in microbes). Learning, from microbe to mammal, allows for adaptive behavioral change of both individual and societies of individuals. I consider this book a rare chance for the layman to grasp the principles and a good part of the details of an emergent science before it becomes complicated, arcane and specialized into proliferating subdisciplines. In this sense, it is comparable to Darwin's Origin of Species, a highly readable scientific classic accessible to the nonspecialist reader. What would life elsewhere look like? Most of the biomass on earth - a planet conducive to the emergence of complex, multicellular life - is, in fact, microbial. Even large organisms, like humans, can be viewed as symbiotic colonies of (microbe-derived) cells which, in turn, incorporate symbiotic microbial colonies: the intestinal bacteria we "use" to digest our food and synthesize essential vitamins. Physical and informational constraints favor small size even on our planet so favored for the evolution of macro-organisms. one can only conclude that most life in the universe will be microbial in nature. 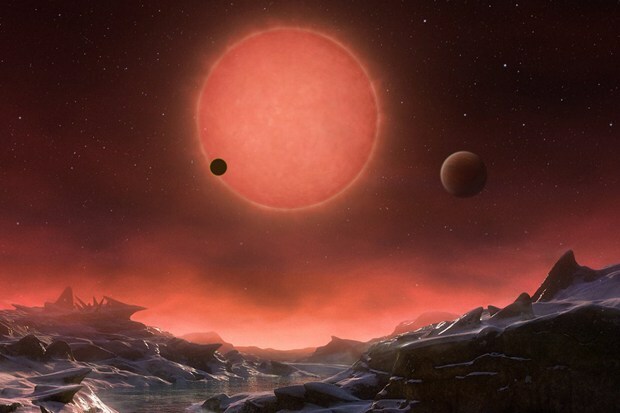 Life should not be a rare phenomenon: hundreds of exoplanets orbiting other stars are now catalogued. If earth is taken as a standard, life evolves early whenever the physio-chemical and energetic conditions for its emergence arise. Life is, above all, opportunistic. We would expect to find harbors of life peppered fairly densely throughout the hundred odd billion stars of our home galaxy - not to mention the hundreds of billions of other galaxies. Nevertheless, once established, life tends toward conservatism: if it ain't broke don't fix it. If environments remain stable, stabilizing selection will actually narrow the range of phenotypic (and underlying genetic) variation. Thus the vast body of microbial biomass living below our feet in the soil and underlying rock has remained simple and archaic, ancestral forms from which the complex life of the surface emerged: "organisms will remain static as long as the environment does." 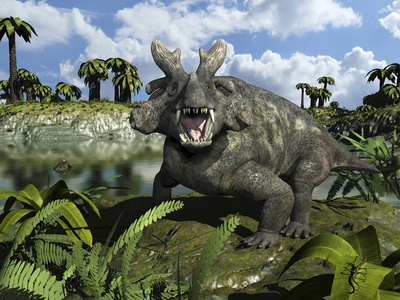 When change - evolution - occurs it is usually as a reponse to environmental change and is rapid, involving extinction and replacement, not gradual change. Thus most life elsewhere is probably structurally and physiologically simple and archaic - as on earth. However, the emerging (meta-)science of Self-Organization Theory strongly suggests that the above considerations paint only a partial picture. Life is opportunistic and will seek (through selective advantage) to occupy - or even create - new ecological niches through modification of the physical environment. Thus, large, more complex organisms - more efficently exploiting specialized ecological niches - would aslo be expected to evolve over time, physical conditions permitting. Example: an atmosphere containing oxygen to fuel the high octane metabolisms required for the mobility of large organisms. Such "higher" organisms require favorable physical environments , a long time to evolve, and are higly energivore. We would expect them to be a relative rarity in the universe. Similar arguments apply to the emergence of intelligence: intelligent life should exist elsewhere but as an exception, a rarity. Finally, taking earth and its biological history as a typical "case study", we would expect life to appear most easily and evolve most diversely on worlds presenting a larger variety of environments: deep seas, shallow coastal waters, wetlands, a variety of emerged lands (humid, semi-arid, arid, cold, temperate, tropical..) Once again, in comparing earth with other planetary bodies and moons in our solar system, earth appears to belong to a class of planets especially favored for the emergence and flourishing of life. One of the essential requirements for life is the presence of "adequate" energy fluxes. In a sense, energy is the essence of life. A continuous regulated energy flow through the boundaries of an organism maintains life. Without this flow the organism either dies or creates inert - non-metabolizing - copies of its genetic code, for example. spores. Spores remain inert until conditions propice for life reappear at which time they reconstitute the parent organism of which they are clones. Energy flow, in the modern materialistic view of life is the analog of the "vital force" and "soul" of primitive and pre-scientific Western thought. On earth, there are two primary energy sources exploited by life: 1- photosynthesis by plants and bacteria and 2- redox chemical reactions (liberating energy stored in inorganic mineral substrates (chemoautotrophy). The chemoautotrophic bacteria, Thiobacillus ferooxidans, extracts energy from minerals by oxydizing sulfur or iron. On earth heterotrophic organisms (incapable of extracting their energy directly from the environment) such as herbivores and carnivores exploit secondary energy sources found in the energy rich molecules synthesized by primary producers such as plants. The rich, diversified ecosystems of energy rich earth typically have several "trophic" levels in the food chain (or web): autotrophic ("self-feeding") primary producers like plants that capture energy from sunlight and store it in energy rich biomolecules (sugars, starches, oils, fats..), heterotrophic ("feeding off others") herbivores which obtain their energy inputs by eating plants, primary carnivores which obtain energy concentrated in the tissues of herbivores. Follow secondary and tertiary carnivores, omnivores (which obtain energy from several distincts sources: plants, herbivores, even lower trophic level carnivores, detritus..), and, finally, detrivores which extract residual energy found in dead / decomposing organic matter. Detrivores form an essential link in the food web by "re-mineralizing" dead organic matter into a form utilizable by photosynthetic plants. Nature, is above all, the Great Recycler - nothing is wasted! The last three potential energy sources are less promising from an energetic viewpoint but cannot be totally excluded in extreme environmental conditions. Example: large planet with intense gravitational field or pressure gradients. One conclusion seems fairly well established by modern biology. Life as we understand it requires a liquid phase to exist: liquids provide the required density and mobility of bioreactant molecules. The authors examine alternative solvents for biochemistry. For a variety of reasons water appears to be the most suitable solvent: large thermal band in which it remains liquid, high heat of vaporization, proper degree of reactivity with carbon compounds, electrical polarity of the water molecule, etc. Once again, Earth - the "blue planet" because of its oceans - appears to be a cosmic niche particularly suited for life to evolve and to evolve to high levels of complexity and organization. At lower temperatures - upper cyrogenic range - a saturated ammonia / water solution might serve as a biological solvent. Saturated NH3 / H20 geysers - indicating, perhaps, subsurface oceans - have been detected on several of the large moons of the outer solar system (Io, Triton..) Several of these bodies seem to possses adequate energy fluxes, essential for life to emerge. Potential sources of these energy fluxes are gravitational flexing, radioactive metallic planetary cores and induced electric currents in liquid iron cores exposed to Jupiter's intense magnetic field. In addition, several of these bodies exhibit self-regenerating chemical cycles driven by energy fluxes (Titan, Io, Europa, Triton, some levels of Venus' atmosphere..). Such cycles are considered to be the precursors of life. It should be empasized though that the mere presence of such chemical cycyling does not, in itself, indicate the presence of life, merely the POSSIBILITY of life. Titan - a moon of Saturn - shows signs of polymeric chemistry. Thus Titan meets the four requirements of life stated at the beginning of this review: 1- adequate energy flux, 2- chemical cycling, 3- suitable solvents (liquid methane and ethane are possibly suitable biosolvents at low - cyrogenic - temperatures) and 4- polymeric chemistry. Whether any body in our solar system other than earth possesses life is debatable but at least we know what to look for and we are already registering several potential candidates. Microbes and photosynthetic algae may florish on Mars. 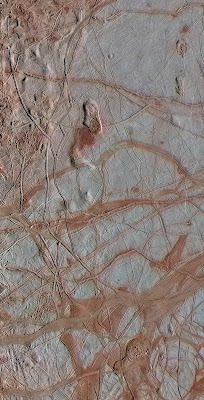 Europa may harbor marine life the size of shrimp or small fish beneath its ice shield. Because of low temperatures life, if it existed on places like Io, Titan or Triton would be "exotic", probably microbial life existing in saturated ammonia water solution, liquid methane / ethane, or liquid nitrogen. Such life, at this stage of our knowlege, is, of course, highly speculative. Mars and Europa are our best bets for "life as we know it". Interestingly, the authors throw out the popular notion of a "habitable zone" around stars. The idea might still prove useful in the search for earthlike habitats though. It is now recognized that the conventional habitable zone hypothesis is too restrictive, especially for hardy microbial life. Contemporary knowledge of planet formation indicates that planets (or large mooons) pass through an early accretion phase (through gravitational attraction). The infalling matter heats the forming body (kinetic energy). Since water is abundant, one would expect many bodies to pass a part of their existence with a water covered surface. Depending upon the size, chemical composition and distance from the star, millions to billions of years might pass before all the water was frozen. This might give life a chance to evolve, even if the body does not lie within the conventional "habitable zone". We might therefore find fossil microbial - perhaps macroscopic - life forms on Mars and some of the large moons of the outer solar system. Alternatively, on some cooling worlds microbial life (in particular) might be able to pull off the transiton from say, a saturated NH3 / H2O solution to another, low temperature, solvent like liquid ammonia, methane or nitrogen. Don't be TOO surprised if frigid Triton (a moon of Uranus covered with nitrogen snow) harbors microbes breeding in underground liquid nitrogen oceans using a free radical based chemistry (those nasty free radicals which our bodies spend so much effort destroying and which we attempt to destroy by popping anti-oxidant pills). At low temperatures, the chemical reactions our bodies use are too sluggish to fuel life. Free radical chemistry would fit the bill although at the temperatures our biology operates at free radical chemistry is "too hot to handle" and free radicals damage the integrity of infomation carrying biomolecules causing cellular aging and pre-cancerous genetic damage. The authors conclude with a list of "biosignatures" and "geoindicators" - chemical species and landform modifications - which a satellite based remote life detection program might employ. The number of "hits" in our solar system is quite surprising. This is a technical monograph - published by Springer Verlag - intended for a scientifically literate audience. Technical terms are generally not defined and there is no glossary. A few graphics lack clarity. On the whole, tight, very compact, generally well written. Excellent reading.